Second team Witsie cricketers to start new season in a new league. The Wits Cricket second team has been promoted to the President’s A League after topping the B League in the Central Gauteng League (CGL) 2018/2019 season. Remarking on the team’s performance during the season, coach Bongani Ntini said while there were times when his team could have been more clinical, he was still happy about the promotion. “We did slip on two games or so, but the big thing is that we’ve won the league. I’m happy, but I still feel that we could have done better,” Ntini said. 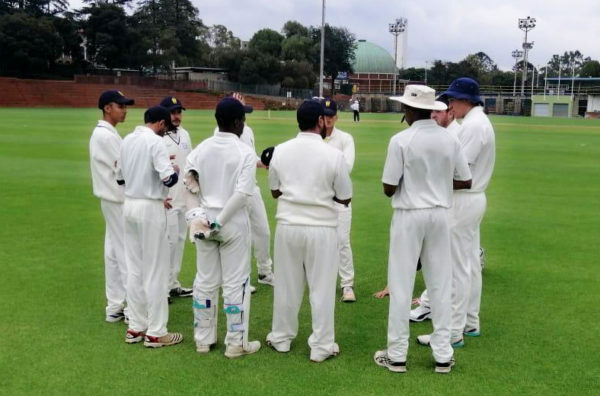 With 22 games played in the season, the Wits Cricket team has won 14, lost two and drawn five matches. Coach Ntini mentioned that the toughest opponent the squad had faced was the Wanderers Cricket Club third team, even though Wits had won both games against the team from the Johannesburg home of cricket. “They gave us a good run,” Ntini told the Wits Vuvuzela. “All cricket teams face similar challenges throughout the season, however, the manner in which the lads responded in those moments is really something to be proud of,” said Wits captain, JP Meyer. “When injuries occurred, the team pulled together and the guys that stepped in as replacements really put up their hands when it was needed most,” said Meyer. Ntini said that the team’s unpredictability was due to different players standing out in different matches, but he still believed that was the team’s strength. “Each and every game there’s been someone new coming up and putting their hand up, whereby it’s not one guy we’ve looked up to,” he said. Looking to next season, Meyer said the move to a higher and stronger league would test them more, be it in the field, batting or bowling, however, the team aimed to perform consistently at a high level from the start. Ntini said exam time is when the team is hit in terms of players not being available, as students make up almost 90% of the squad. Then the team has to rely on schoolboys. “Closer to exam time, we were still on top of the log, and even though we dropped two or three points, we were still in the top three,” Ntini said. The team’s last match of the season will be against Roshnee Cricket Club on Sunday, April 14 at the Walter Milton Oval. Wits Vuvuzela, Wits first year cricketer selected for Lions Academy, February, 2019.